How to set thumbnail background color of HTML5 Flipbook? I want to highlight the thumbnail of HTML5 Flipbook. White background is too monotonous. How can I use Flipbook maker to change the background color of thumbnail? 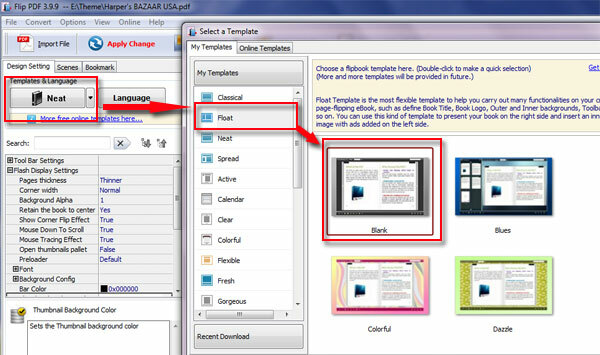 You can define custom background color of thumbnail with Flip Book Maker (free download here). Any color you want is easy to set in this program. Below steps will tell you how to set thumbnail background color of HTML5 Flipbook. Step6: Press "Publish" to choose HTML and mobile version option and then convert.